Answer: Looks like many of you are following the election campaign in Columbia. It is Aurelijus Rutenis Antanas Mockus Šivickas . 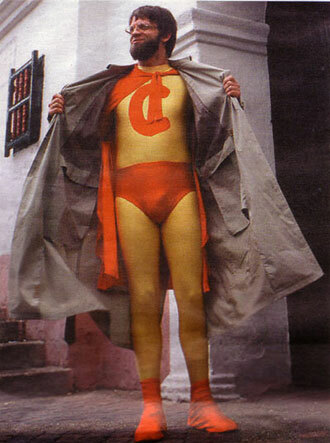 During Mockus’ two terms as the mayor of Bogata, he donned a spandex suit and became Super Citizen to lecture residents about civics. Columbia goes to the polls on May 30th, so we’ll see if his antics translate to super votes..